Ink World published its Inkjet Report for 2013 highlighting the growth of inkjet technologies in digital print and its prospects moving forward. Commercial printing inks continue to lead the digital revolution that makes digital and wide format the new standard. There are still questions of the direction print will go as more technologies get introduced in marketing. For now, commercial printing inks are seeing more growth year over year. “In 2013, EFI sold more than a million liters of inkjet ink for the second consecutive year, and its VUTEk and Jetrion press lines continue to enjoy growth. Stephen Emery, vice president, ink business and Jetrion Industrial Inkjet, EFI, said that the first quarter of 2014 marked the 18th consecutive quarter of double-digit growth in inkjet ink sales for EFI, at 25% year over year growth. “For us, 2013 marked our second consecutive year of over 1 million liters of ink sold. 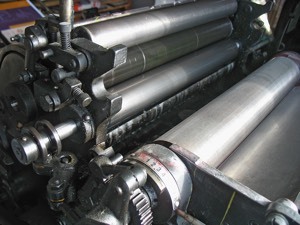 Ink sales are growing faster than equipment sales, which means our customers are consuming more ink across the board, in narrow web and wide format,” Emery added. 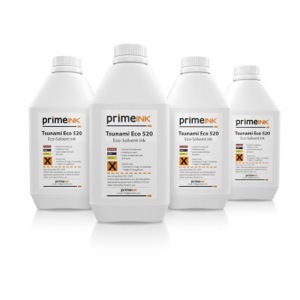 Sun Chemicals also boasted increase in sales, “Peter Saunders, business director – Digital, Sun Chemical, said that SunJet, the inkjet division of Sun Chemical, grew strongly in the past year, and widened its product and technology portfolio to meet the demands of existing and emerging markets. 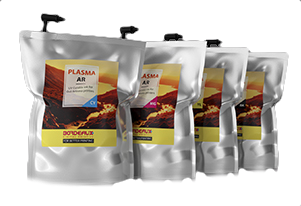 And Dupont will not be left behind, ““The DuPont Digital Printing business enjoyed healthy growth in 2013 in several key market segments,” said Brian Albans, global business manager, DuPont Digital Printing. “We commercialized a new pigment ink technology platform for high speed commercial printing that enhanced color strength and productivity, and expanded our capabilities for future innovation with a new R&D facility in Japan. We expanded production at our Ft. Madison, IA facility in the U.S. and by building a new facility in Singapore to support the strong, continued growth in the Asia Pacific region. The future is bright for digital printing. All the ink producers anticipate commercial printing ink will reach year over year double digit growth. Packaging is leading the growth, but sheetfed applications will continue to see growth as well. Lloyds of Indiana carries a large selection of commercial printing inks that are compatible with the most popular wide format printers including Mimaki, HP, Mutoh and Roland.